How much does SurveyGizmo cost ? 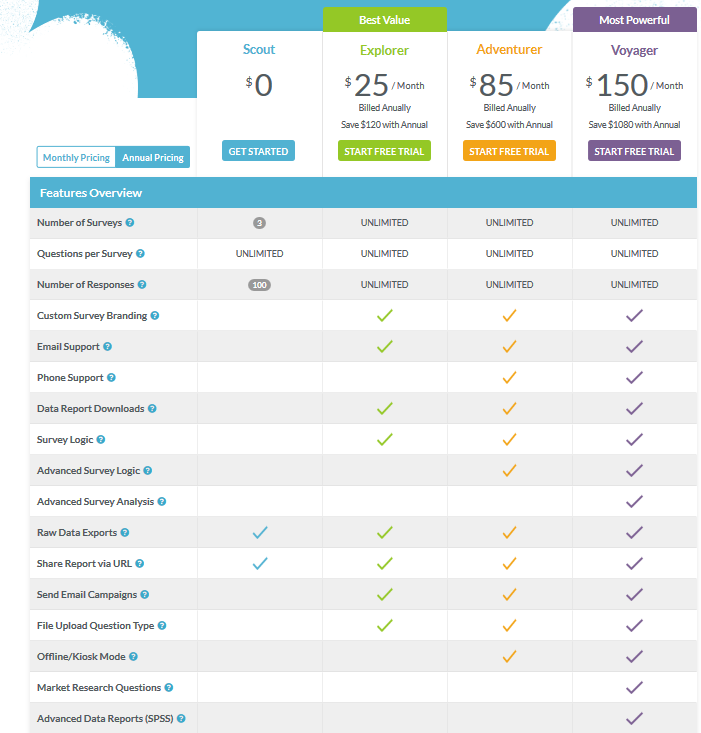 The pricing for SurveyGizmo starts at $0.0. SurveyGizmo has 4 different plans such as - Scout at $0.0, Explorer at $25.0 per month, Adventurer at $85.0 per month and Voyager at $150.0 per month. SurveyGizmo also offers a custom plan based on the customer's request. 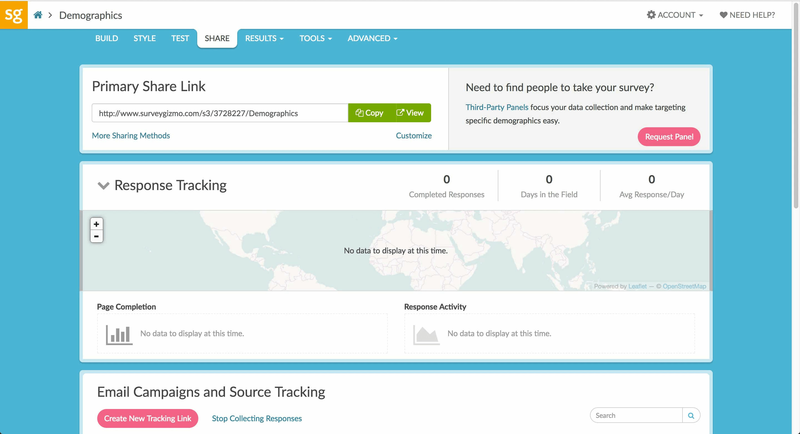 Why is SurveyGizmo the right solution for you? Incredibly versatileSurveygizmo can be customized to meet a vide range of data-collection demands. Unlimited ResponsesCollect as much data as you want without ever having to worry about hidden fees or overage charges. For Add-ons Please Contact the Organization for the Details. "Very robust, yet simple when needed to be. " 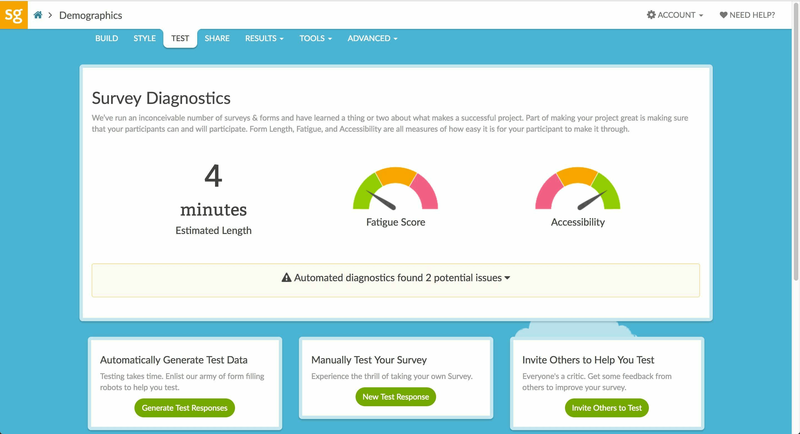 I like that surveygizmo has all of the tools a researcher could need, but it also has the cleanest interface out of the survey products I have used. Could be a little bit more streamlined - sometimes I have to opt out of steps to get to the next one, which I don't like. Do it! 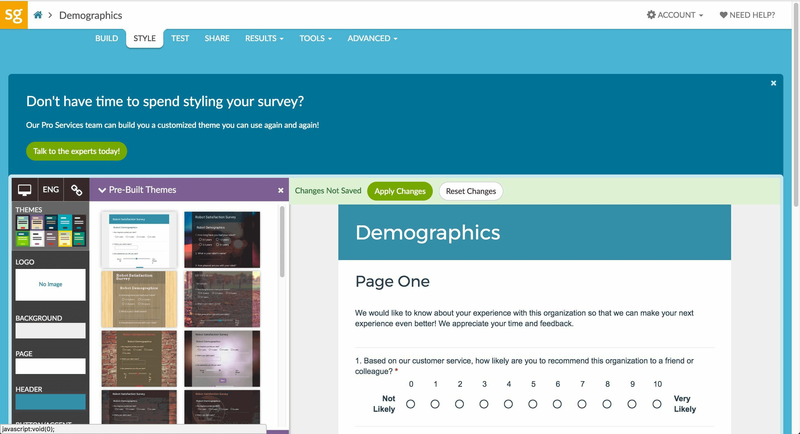 SurveyGizmo is more robust than SurveyMonkey, but not as clunky as AYTM. Product validation, customer satisfaction - we have used SurveyGizmo to focus our product roadmap around the desires and needs of our customer base. Surveygizmo is very easy to use. Setting up surveys is simple and there are many different options to choose from so you can build a survey tailored to your needs. By using Surveygizmo we are able to gather valuable information as well as simplify other tasks, such as registering for events or evaluating classes and instructors. 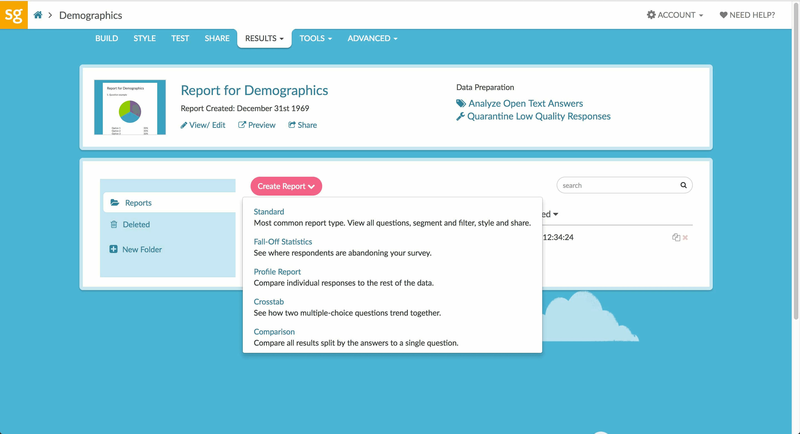 It is also very easy to view the results of the surveys and there are multiple types of exports you can choose from depending on the kind of report you want to make. It also allows you to select specific questions when exporting results so you don't have to do it after you export. The only thing I dislike is that when you're working in Surveygizmo and someone else logs in with the same account, a warning pops up that there is another logged in session and it asks you to log out the other session in order to continue working. This might cause you to lose any work that you didn't save before the warning appears. SurveyGizmo is a wonderful tool for gathering information and is easy to use. 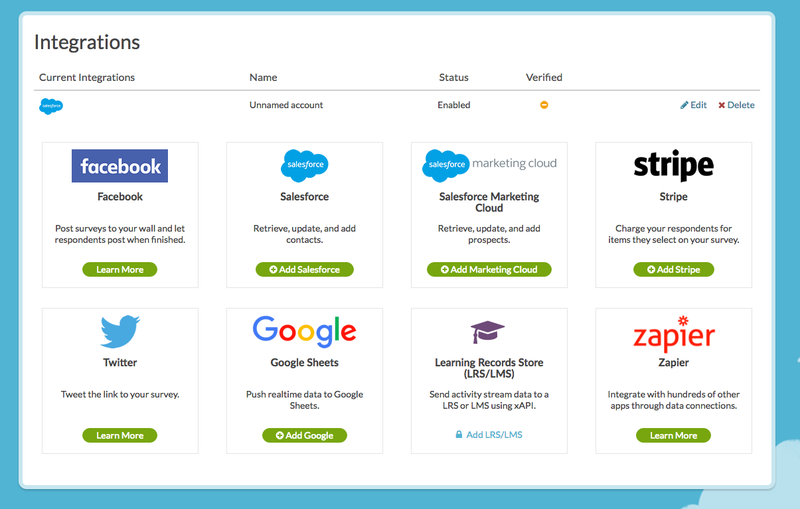 Any company could benefit from using their platform to collect valuable data and feedback. I work in the office of a nursing school so we use Surveygizmo for gathering different information. We use it for prospective students as a questionnaire to gather their info, we use it to assess how enrolled students feel about their courses and instructors, we use it to register students for graduation, we use it for faculty and employee self evaluations, student graduation surveys, and many more. The benefits are that we are able to easily acquire any information we need instead of doing it in a more time consuming way such as paper questionnaires. This also makes processing the information much more efficient and saves us a lot of time. "A must for our small business!" A large part of our business includes coordinating events that require advanced registration. The feature that allows registrants to receive an automatic email confirmation resulted in us switching to SurveyGIzmo form another service we were using that we were otherwise satisfied with, but didn't offer this feather. As previously mentioned, we switched to SurveyGizmo from another platform, and although the benefits outweigh the negatives, we were disappointed that some of the features available on the other platform at an affordable cost were not available on SurveyGizmo without upgrading to a cost-prohibitive plan. We have been able to streamline the registration process for various events that we coordinate. The automatic email confirmation has cut down on the number of people who call our office wondering if they've registered for a particular event. I love the ability to set up and/or conditionals when hiding a question based on answers to other questions. It's also really easy for us to enter translations for surveys we conduct in other countries. I wish it were possible to view all pages on a survey at one time. 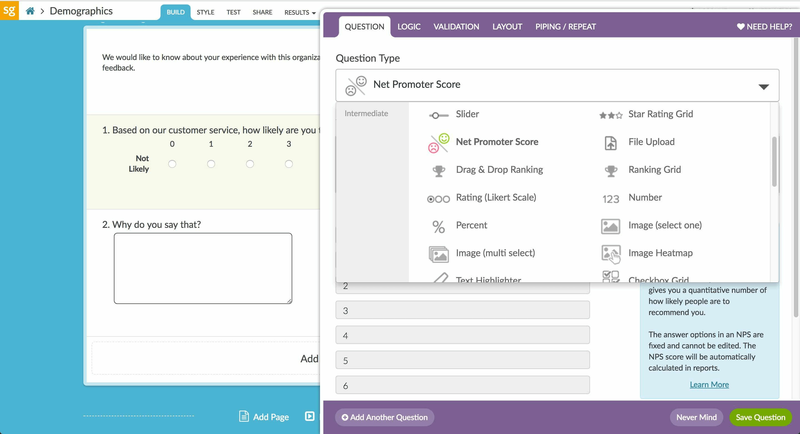 In order to make a survey mobile-friendly, each question has to have its own page because younger respondents will close the survey if they have to scroll too much on their phones. Our surveys end up having 30+ pages and we constantly have to navigate through blocks of a maximum of 10 pages at a time. The user interface is simple and exploring the product is easy. It helps if you have experience making surveys and/or someone on your team who does. The program generally gives you an alert if you are about to make a mistake in formatting, which is helpful if you have never used an online survey platform before. Overall, a solid choice if you need quick surveys that can be sent to respondents immediately upon completion. I like that it allows you to be able to easily get opinions from numerous people. I didn't like that the surveys couldn't be edited. It allowed for opinions to be gathered easily. The benefits were it's free and allows for information to be gathered quickly. I liked the look of it and the navigation. Not anything that I didn't necessarily like, I just wished there was a little more flexibility. The amount of options you can put in for questions. When advancing between pages, it loads slowly. Great for customer recognition or customer dissatisfaction. They will answer surveys but not tell you directly. SurveyGizmo has many structure formats that we can use to rapidly begin shapes. We can tweak the structure and include a wide range of kinds of fields, not simply standard content, catch and radio fields. The structure creation devices are very natural and don't require much specialized skill to utilize adequately. There are basic simplified apparatuses that enable us to include and move inquiries around easily. I like that a few inquiries can naturally be skipped relying upon a client's reaction to a past inquiry. Working with a portion of the outside programming incorporations can be confounded. The client bolster group at SurveyGizmo is useful, yet they don't in every case completely see how to interface things up legitimately. The evaluating is somewhat high contrast with other review stages that offer comparative highlights. 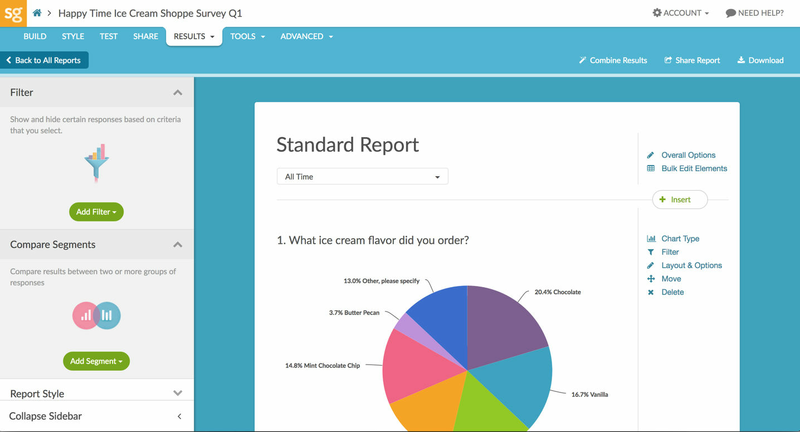 SurveyGizmo has been an extremely compelling answer for making review structures and ordering information in a smooth and quick way. SurveyGizmo presents a general proficient encounter for both the product client and review takers. We can tweak frames at incredible length and open the entryway for point by point reactions that really give us knowledge into our respondents considerations. We have had the capacity to gather quality information that enable us to settle on very educated choices about item and administration advancement. Survey Gizmo was great at customization. What ever you wanted to do with the platform you could usually find a way. Their customer support is extremely helpful and friendly. Some of the UX is not counter intuitive. It takes some time understand where things are. learning about our customers and collecting feedback.